Acupuncture = Less Opioid Prescriptions? The opioid epidemic our country is currently facing takes the lives of 130 Americans each and every day. In 2017, overdose death counts were six times higher than those of 1999. And since then, more than 700,000 people have died due to overdosing on the potent prescription pills. Unfortunately, often the people we trust the most — our physicians, can put people’s lives at risk by over prescribing these pills as a means of pain management. But, acupuncture can help. They were asked to estimate the number of patients they had written a prescription for “weak” and “strong” opioids for chronic, noncancer pain. The difference lied in the those that prescribed strong opioids — like morphine, oxycodone and fentanyl. “More than 5 percent of family physicians with no training in acupuncture reported that on average, they wrote prescriptions for strong opioids for 11 or more chronic noncancer pain patients each month.” But of those family physicians who are trained in auricular acupuncture, only two percent wrote that many. Though not a scientific study, it’s promising to know that those doctors who are familiar with the power of acupuncture are writing less prescriptions for such dangerous drugs. Being aware of nontraditional therapies is important for all who are seeking pain relief, as these types of pills should be considered a last resort in most cases. We’ve mentioned this before, but now even more research has emerged supporting the fact that acupuncture can be so powerful at relieving pain, it may even take the place of opioids in many patients. This includes acupuncture. But what does it mean, exactly? Essentially, organizations are now required to provide non-pharmacologic (aka non prescription) pain treatment modalities relevant to its patient population and assessed needs of the patient. Noninvasive treatments, like acupuncture, can be used as a complementary and in some cases, in place of opioid medication in many circumstances. Thus potentially reducing the amount of people prescribed painkillers — which . is great news. The Joint Commission also noted how important it is to have non-pharmacologic pain treatment modalities available for patients who refuse opioid treatment, or are deemed ineligible. This population, including recovering addicts, may be able to experience relief without prescription pills. While supportive evidence varies by modality and specialty, more research is consistently supportive. It’s getting dark earlier, and winter and all the colder weather that follows is on its way. When things freeze over, you’ll need a little help thawing out—while acupuncture can’t help you clear your steps or driveway, it can certainly warm things up for those suffering from frozen shoulder. What, exactly, is frozen shoulder? You may not have heard of this ailment, but it affects over 200,000 Americans each year. It’s more common in women than men, and usually affects those aged 40-60. Additionally, those who suffer from diabetes are more susceptible to it. Frozen shoulder is when the shoulder capsule becomes so thick and tight that the shoulder becomes incredibly painful and can be difficult or even impossible to move. If not treated, frozen shoulder can heal on it’s own…but it can take a very long time. The frozen stage, where the shoulder is very limited in movement, can last anywhere from 4-12 months, while the thawing stage, the gradual return of movement and elimination of pain, can last 6 months to 2 years. That is far too long. Thankfully, acupuncture is known as an effective holistic remedy for speeding up the thawing process and healing frozen shoulder. An study conducted in Guangdong, China, revealed that acupuncture alleviates pain and restores range of motion to the shoulder for patients with frozen shoulder. Subjects receiving the local acupuncture points had a 71.8% total effective rate, showing improved pain and better range of motion in the shoulder. Patients receiving abdominal acupuncture had a 92.4% total effective rate. So if you or someone you know is suffering from frozen shoulder, let them know that cozying up to the fire this winter won’t help them out. Acupuncture will! Osteoporosis is one of the most common conditions ailing adults in the United States. A staggering 54 million among us suffer from osteoporosis, which literally translates to “porous bone”. Osteoporosis occurs when the body loses too much bone, makes too little bone, or both. This causes the bones to become weak, resulting in chronic pain, or worse. Low bone mass means that breaks can happen very easily, from falls or in serious cases even from something as low-impact as sneezing. Osteoporosis is a serious condition, with many of the fractures resulting from it occurring in the hip, spine or wrist. In elderly patients, these breaks can result in serious injury or death. The unfortunate thing is that osteoporosis cannot be reversed. It can only be treated. Thankfully, clinical trials have been recently done that show acupuncture as an effective treatment for osteoporosis. The great thing is that acupuncture works two-fold: it is effective at treating the pain associated with osteoporosis, as well as crucially improving bone mineral density. This still does not represent an ability to reverse the effects of osteoporosis, but it is certainly a step in the right direction. Researchers at First Affiliated Hospital of Chengdu in China conducted a study of 182 participants, all who were suffering from the disease. The study compared acupuncture’s effectiveness at treating osteoporosis with calcium supplementation. Acupuncture treatment was administered supplementing the liver and kidneys and strengthening the spleen. While both methods proved to be effective, the acupuncture group outperformed the calcium supplementation. 77 cases in the acupuncture group registered as very effective, with 5 cases effective and 9 ineffective. The study measured both pain levels as well as mean bone mineral density—those who received acupuncture reported a decrease in pain level, and their bone density was shown to have increased. Osteoporosis is one of the most difficult conditions to deal with, one that greatly affects the patient’s quality of life. If you or one you know is suffering from the condition, be sure to tell them that acupuncture can help them on the road to recovery. Osteoarthitis is the most common form of arthritis, and it can occur and create damage at any joint in our bodies. What happens is the cartilage in our joints that separates bones from one another gradually deteriorates. In the early stages, the cartilage becomes rough, which causes pain and stiffness in joints. But if untreated, eventually the cartilage can be removed completely, causing bones to run right up against each other. This condition occurs most commonly in our major joints, like our hands and knees, and especially our hips. Hip Osteoarthritis affects anywhere from 3 to 11% of the population in Western countries, which means millions of people suffer from this nasty degeneration. Since there is no cure for osteoarthritis, there are a number of ways doctors generally treat the condition. 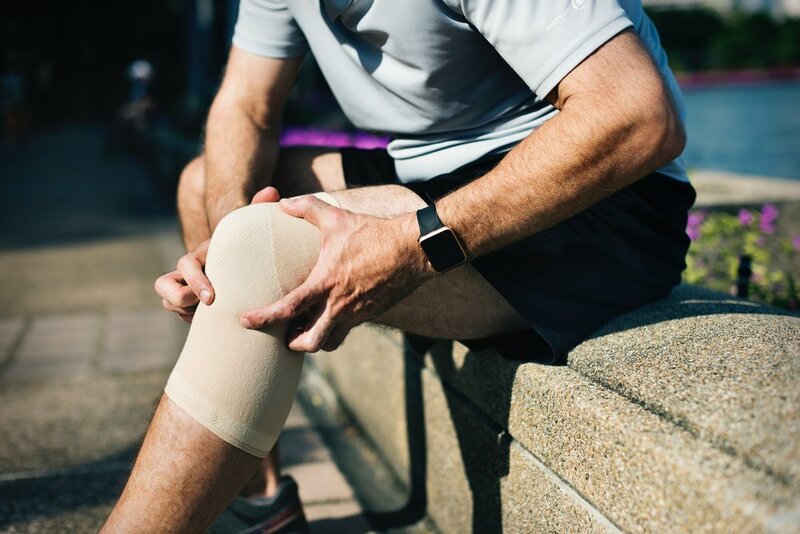 Physical therapy is popular, and surgery could be performed in the worst cases, but in the meantime the use of painkillers and anti-inflammatory drugs is often prescribed to deal with the pain. Thankfully, studies are beginning to be performed to show what acupuncturists have known for decades—that among all the treatments available for those suffering from a condition like hip osteoarthritis, acupuncture isn’t just on par or superior, but it’s by far the safest, with the fewest potential negative side effects. Researchers in the US and China went back and looked at studies done historically on how to treat osteoarthritis and judged the combined findings. In all the studies, none of the subjects reported any adverse side effects. We know that acupuncture is effective for treating disorders such as osteoarthritis because its goal is not to simply mask pain, but treat the root causes of pain brought about by unbalance in the body. If you think you suffer from any form of osteoarthritis or are beginning to feel pain and stiffness in your joints, we’re here to help. Most acupuncturists find their way into the field fueled by passion and a strong belief in the healing powers of the ancient art. For acupuncturist Ryan Gauthier, there’s even more to it. As the Detroit Free Press reports, after tragically losing his husband of five months to an opioid overdose this past Fall, utilizing acupuncture as a means for pain control is all the more important. As the opioid epidemic in America continues to grow stronger and claim more and more lives, there’s more pressure than ever to find alternatives to these highly addictive, and often misused prescription pain killers. Of the epidemic, Gauthier is quoted as saying, “It doesn't matter, your career. It doesn't discriminate (based on) your race, your gender. You can be a (health care) provider trying to help people ... and it can be the person you thought you were going to spend the rest of your life with." · From 1999 to 2016, more than 630,000 people have died from a drug overdose. · Around 66% of the more than 63,600 drug overdose deaths in 2016 involved an opioid. · In 2016, the number of overdose deaths involving opioids (including prescription opioids and illegal opioids like heroin and illicitly manufactured fentanyl) was 5 times higher than in 1999. · On average, 115 Americans die every day from an opioid overdose. Acupuncture has been proven time and time again to help with chronic pain control, as evidenced by both numerous scientific studies a well as thousands upon thousands patient testimonials. By restoring chi, balancing the energy within the body and increasing circulation, swelling can decrease, pain can lessen, and speedier healing can be promoted. Additionally, acupuncture can help decrease tension and anxiety, as well as promote a sense of overall wellbeing and relaxation – all factors that can attribute to pain control. Prior to filling the prescription for opioids, acupuncture is well worth your consideration. Gautheir reflects, "Knowing my own situation and the pain that it caused in my own life, I think it makes me want to work for better regulations, better systems in dealing with people after they’re addicted, trying to help patients reduce their use of opioids," he said. Recent reports from The Washington Times reveal that acupuncture just might be helpful for women going through painful treatments for breast cancer. A popular classification of drugs called aromatase inhibitors is often used to treat breast cancer when it’s detected early – but they can also lead to joint pain. SO bad, in fact, that some women opt to discontinue using the medications just for relief. Thankfully, a new study from New York Presbyterian, published in the Journal of American Medicine, discovered that acupuncture just might be able to help. In a study that included research from 226 post-menopausal women who were split into three groups: those who received actual acupuncture, a “fake” treatment, and those who received no treatment at all. The “fake” treatment included needles inserted in their body, but at non-pressure points. Overall, the group of patients who received true acupuncture reported their pain rating as two full points less than it was prior to treatment starting, while the control group who received nothing had at least .99 less pain. Even if only modest, the use of acupuncture to provide any form of relief from women undergoing breast cancer treatments is reassuring. We have long known that acupuncture can help to provide pain relief and this reaffirms the wide range of modalities as to why patients might seek the holistic treatment. The use of strategically placed acuneedles throughout targeted acupuncture points can help to restore the flow of “chi” or energy throughout the body – restoring a sense of balance while reducing inflammation and overall pain. Acupuncture has also been shown to reduce joint pain in arthritic patients, as well as those with injuries or during surgical recovery. Is Acupuncture replacing opioids as the treatment of choice for pain? Stephen Newman of Cleveland, Ohio has for years dealt with two rare and painful conditions. Ankylosing Spondylitis is an inflammatory arthritis of the spine, and common variable immunodeficiency, which is an inherited immune disorder. Both conditions bring with them painful side effects, which Stephen had been dealing with since his teens—back then, he was told it was probably merely growing pains. But the pain continued into adulthood. Primarily, Stephen had been treating the discomfort with prescription painkillers. Additionally, he received infusions of antibodies to support his weak immune system. Eventually, Stephen tried acupuncture. "Once I started doing the acupuncture and everything to treat the underlying cause, that's when I really started to get better…my doctors can't believe how well I'm doing now." Acupuncture has helped Stephen so much that his immune disorder recently went into remission. Hopefully, there will be many more Stephens out there in the future who turn to acupuncture to treat pain and discomfort rather than rely on opioids. In Ohio, Medicaid has recently expanded to cover acupuncture treatments after an opioid task force determined that additional treatments be available for people dealing with chronic pain. The trend appears to be going in the right direction. According to government surveys, 1 in 67 people say they get acupuncture every year; it may not seem like a lot, but that’s up from 1 in 91 people just a decade ago. The evidence is certainly showing that acupuncture does work, and is much safer than opioids for treating pain. Pain, fatigue, feeling like you’re just in a fog. For some of us, these symptoms come and go and are easily manageable. But for those who suffer from fibromyalgia, these symptoms persist and greatly affect quality of life. For many sufferers, symptoms can begin after a physical trauma, infection or event that causes major psychological stress, but for others there may be no single cause. There are many ways people try to treat fibromyalgia pain, including medication. However, one treatment in particular is proving to be most effective in potentially restoring fibromyalgia patients to a fruitful and pain-free life. A recent study performed at the Oregon Health and Science University showed that Individualized acupuncture in a group setting significantly decreases fatigue and pain in fibromyalgia patients, compared with standard group therapy—a treatment that has previously been shown to be helpful for fibromyalgia patients. Thirty patients who reported moderate to severe pain were treated, half of which underwent standard educational group therapy and half of which received individualized acupuncture treatments within a group setting. The half who received acupuncture treatment did so in 40-minute sessions, twice a week for a 10-week period. With nearly 10 million people across the US suffering from fibromyalgia, chances are you may know someone who is in need of treatment from the pain, fatigue and “fibro fog” associated with the disease. If so, acupuncture may be just what they need. Aches and pains? Ditch the Ibuprofen. We all know the feeling. Maybe you slept in the wrong position, or upped your physical exertion in an effort to exercise more. Maybe you banged a knee or elbow playing a sport or stretched too far while horsing around with your kids. Or maybe you’re just getting old (it happens!). Worse off, those who complain about consistent aches and pains may suffer from arthritis. It’s almost like second nature for many of us to head straight to the medicine cabinet and grab for the ibuprofen bottle. Pop a few in and go on with your day. The problem is that medications like ibuprofen only address the symptom and don’t have any regenerative ability. While tears and serious injuries may require surgery and/or physical therapy, the root cause of every day aches and pains can get worse if only treated with something like ibuprofen and physician prescribed pain killers (not to mention the addictive properties of the latter). Thankfully, there is another way—acupuncture. And a recent study performed in China has put some data behind what is becoming more commonly known; that aside from being the safer, natural alternative, acupuncture is more effective at treating arthritis than ibuprofen. Researchers at Yueyang Hospital sampled 80 patients who suffer from arthritis, administering either ibuprofen or a combination of acupuncture and tui na massage. The second group received acupuncture treatment daily for 20 minutes for 20 days, followed by a 20 minute massage treatment. The acupuncture and tui na treatments were successful in 90% of patients as opposed to 87% in the ibuprofen group – a small but meaningful difference given the safety and holistic differences in the two approaches. A further study showed that of acupuncture and tui na, acupuncture was the more meaningful and effective of the two treatments for arthritis. We figured! Dealing with any type of pain can be frustrating. When pain is chronic, it becomes more than simply frustrating, but life-changing. When in pain, many people’s first instinct is to go for medication. Pharmaceutical companies have created a number of medications meant to lessen pain. 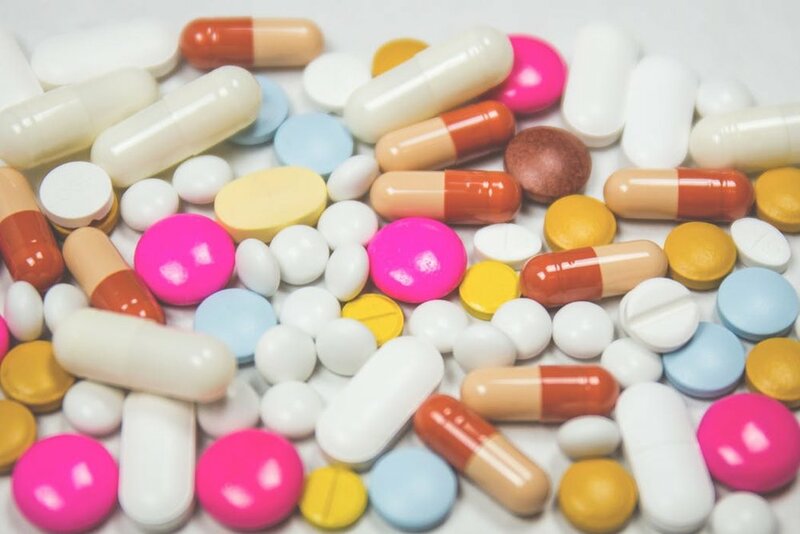 However, many of these medications, particularly opioids, have proven to be very harmful to the people who take them because of their addictive properties. The National Institute on Drug Abuse estimates that 90 people in the United States die from overdosing on opioids each day. When Brandy Golden of Columbus, Ohio had two daughters who both were suffering from amplified musculoskeletal pain syndrome, luckily acupuncture was there to help. Thankfully the nearby Nationwide Children’s Hospital’s Comprehensive Pain Management Clinic treated 13-year-old Gloria and 11-year-old grace without prescribing any medications. One of the roadblocks to acupuncture becoming more readily available for children and adults alike in the U.S. is insurance. Many insurance carriers didn’t cover acupuncture, leaving patients fewer, more dangerous options to treat their pain. As we learn more and more about the serious state of the opioid crisis and the harmful potential these drugs can have, availability of acupuncture is becoming more widespread. In the fall of 2017, the National Association of Attorneys General sent a letter to America’s Health Insurance Plans urging insurers to prioritize coverage of non-opioid pain treatments like acupuncture. In response, Ohio’s Medicaid program in 2018 will start covering acupuncture treatments for certain types of pain, and hopefully will be expanding it to a larger range of pain management treatments. Let’s hope that more and more carriers follow in these footsteps. Acupuncture is something that all people should know about as one of the safest, most effective pain management treatments. If you know anyone dealing with chronic pain, be sure to recommend a holistic treatment, especially if the alternative is a pain medication. By now it’s commonly accepted that acupuncture can help relieve chronic pain, yet when most of this conversation is had, it’s referring to humans. What many people might not know about is that acupuncture has also been used with our animal counterparts for quite some time. Most recently, with an arthritic giraffe. This NBC News video shows Roger Williams Park Zoo in Providence, Rhode Island using acupuncture on their 2,000-pound giraffe named Sukari. The tall, majestic giraffe is 22 years old, aging, and suffering from arthritis, a painful joint condition compounded by her massive height. She began to show signs of getting older, and of limited mobility before the zookeepers and veterinarians decided to attempt acupuncture as a treatment. And so, a former intern at the zoo who is a certified veterinary medical acupuncturist was brought in to begin treatment. Following a similar protocol to human acupuncture treatment, the 45-minute session used 14 needles around her hips, and received the treatment weekly. Using acupuncture to improve quality of life, control pain, and hopefully increase mobility in animals follows the same beliefs as the practice in humans. We’d just have to assume the acuneedles used on Sukari are a little bit bigger than those we use at NJ Acupuncture Center. Trying anything new for the first time can be overwhelming and even a little scary. Pair that with the concept of essentially having a stranger stick “needles” in your body, and it can be downright terrifying – but it doesn’t have to be, nor should it be. At NJ Acupuncture Center, we fully understand that first time patients may be a bit apprehensive. SO, we put together this handy little guide of the top 10 tips for first time acupuncture patients. You can thank us later. 1. Wear comfortable, loose fitting clothing. Depending on your needs, you can receive acupuncture treatment from head to toe. Therefore, it is essential to wear loose fitting clothing that is both comfortable, but can also be rolled or pulled up for access to all necessary meridians. 2. Turn off your cell phone. 3. Be open and honest. Share any medical experiences and concerns with your acupuncturist. Any emotions you’re struggling with or past experiences can only help you to receive the best treatment. 4. Write down a list of questions, comments or concerns. Acupuncture will work best when both you and your practitioner and you are on the same page. If you have any questions, comments or concerns - as well as treatment goals – write them down so you don’t forget anything during your consult! 5. Be mindful of scheduling. It is ideal to schedule your appointment at a time that you can then relax afterwards. Though, if you can only squeeze in lunch-break appointments, any time slot is better than none. You don’t want to be super full, or super starving for your session. Ensure that you’ve eaten something light and healthy prior to your time. For your first appointment, there will be intake paperwork. Show up at least 10-15 minutes early to ensure you have ample time to thoughtfully and accurately complete any paperwork that is needed. It’s a human reaction that at times when you’re nervous or anxious, you hold your breath. Remember that breath is your life force! Breathe regularly and consistently. Focusing on your breath can help to deepen your relaxation.